Product categories of Rat Glue Trap, we are specialized manufacturers from China, Rat Glue Trap, Rat Paper Trap suppliers/factory, wholesale high-quality products of Cardboard Mouse Trap R & D and manufacturing, we have the perfect after-sales service and technical support. Look forward to your cooperation! 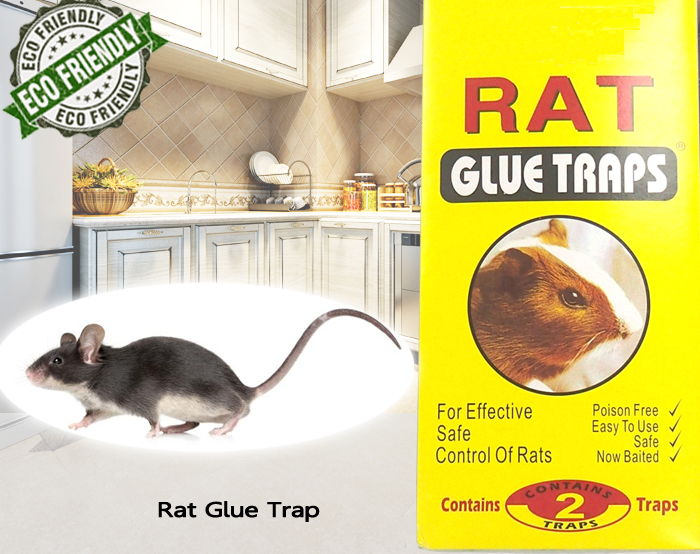 Rat Glue Trap is primarily made of sticky adhesive glue coated on paper or plastic tube for rat killing. Setting on the place where rats activities found, it will work once those landing on the rat Glue Trap. Usually applied on breeding farm, vegetables garden, barn, home, restaurant, office, school- Effective and non-toxic for rat infestation. The sticky Fly Glue Trap may be annoying to handle, while vegetable will greatly help to remove it. These super adhesive glue traps, superior stick, strong adhesive and good effect, catch rats and mice conveniently. All of the products use non-toxic materials. the glue traps is a health, safety, harmless and environmental-friendly product which is very suitable for the family, schools, hospitals, food factories canteens, grain depots, warehouses, kindergartens and so on.